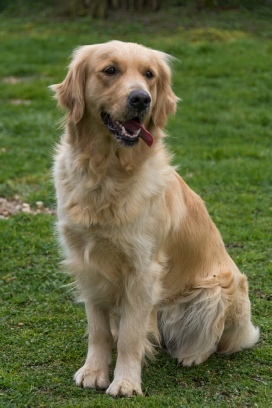 Originating from Great Britain, the Golden Retriever is one of the two best known of the Retriever family. 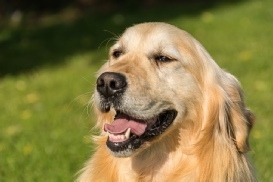 The Golden is considered a large dog (males 56-61cm for a proportionate weight of 32-37kg; females 51-56cm for a proportionate weight of 27-32kg). 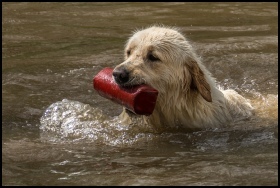 Of balanced appearance, the Golden is an active, powerful dog, with a kindly expression. 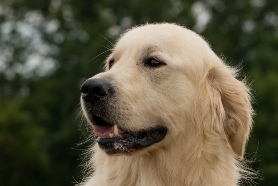 Gentle natured, friendly and trustworthy, he is intelligent, courageous and naturally gifted for working, which makes the Golden an ideal family companion. The coat is long either wavy or flat in any shade of cream or gold. 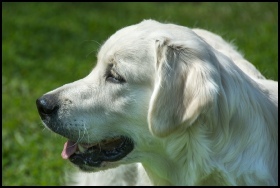 The nose is black.